PCI compliance is not a single event, but an ongoing process. The Payment Card Industry Data Security Standard (PCI DSS) was established by the major card brands. All businesses that process, store, or transmit payment card data are required to implement the requirements outlined in the PCI DSS to prevent cardholder data theft. Technology and card processing situations change. 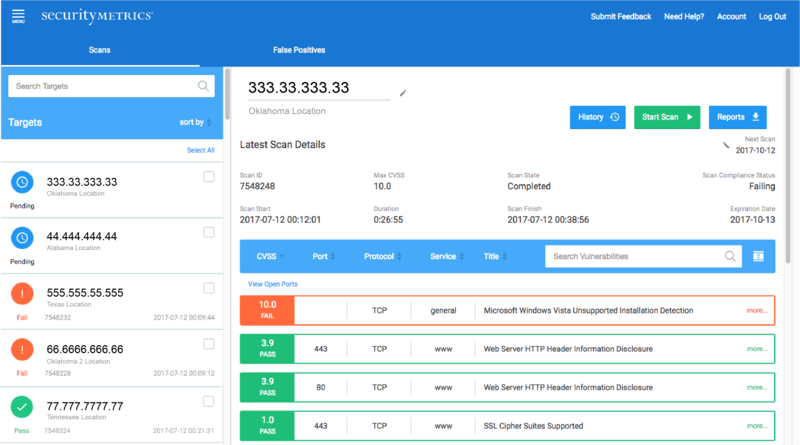 SecurityMetrics saves you time as your single point of compliance support. Our 24/7 technical support experts quickly help you complete your SAQ, explain identified vulnerabilities, pass your ASV scan, and ensure that your PCI compliance is validated and reported to your merchant processor. Whether through online chat or over the phone, we'll answer questions and remove roadblocks each step of the way. Don't worry about automated phone systems or long wait times. SecurityMetrics has the largest in-house PCI support center in the world with an average inbound hold time of 17 seconds. Not only is our call center quick to respond over phone or chat, but our award winning agents are trained to explain PCI in a clear, concise way that moves you through the process as quickly as possible. We have many tools available to simplify PCI compliance for small businesses and provide your business with enhanced data security. These tools include: internal and external vulnerability scanning, mobile device security, card data discovery, penetration testing, and PCI employee training. 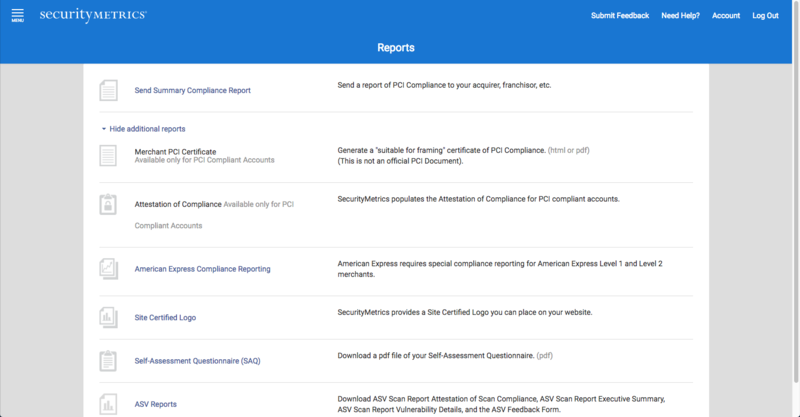 See the status of your SAQ, vulnerability scan, and overall compliance in your online compliance console. Within the console you can also schedule scans and edit account information. 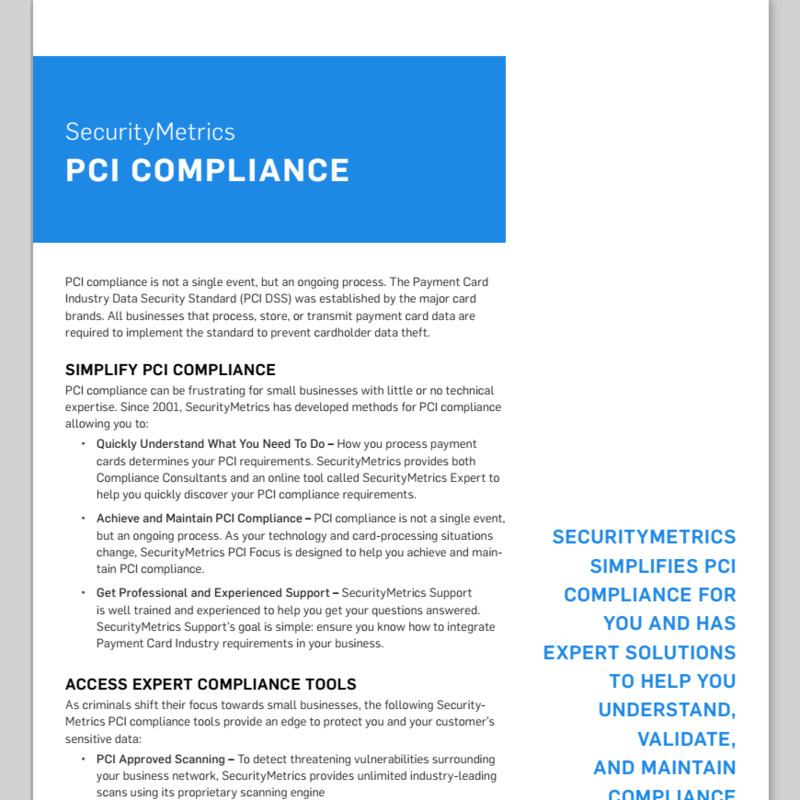 We make reporting your PCI compliance simple. Once you validate PCI compliance, we inform your bank so they know you’ve done your part to protect customer data. 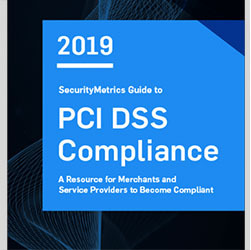 As one of the few companies that holds credentials for all aspects of PCI compliance, SecurityMetrics can assist your small business with any PCI need. 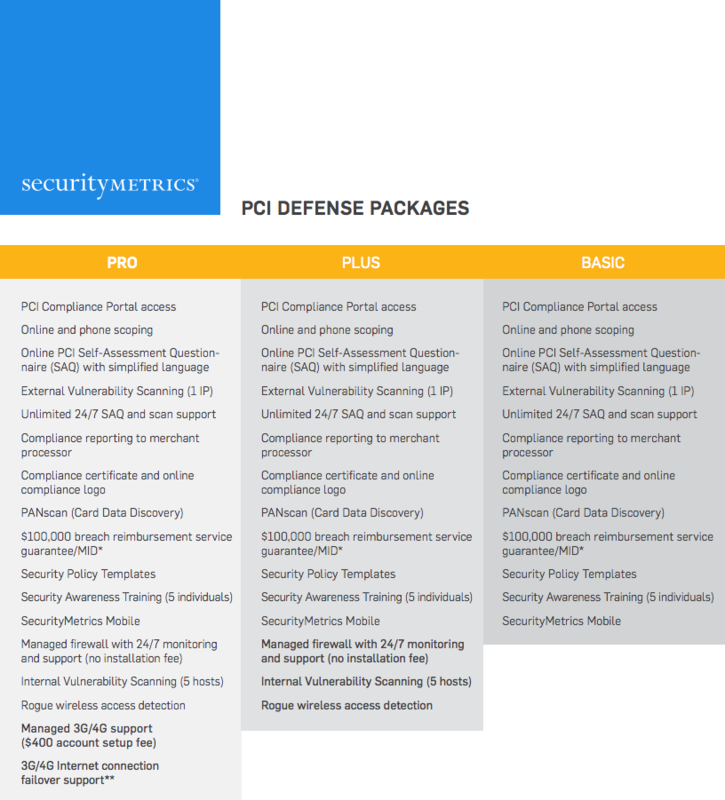 If you have questions about PCI compliance, we'll get you answers. We continually improve our compliance solutions based on our forensic team's findings to provide you the most accurate compliance and security solutions. In the past couple of days I have needed to talk to people in Renewals, Technical Support and Scan Technicians. Everyone, without exception, has been very pleasant to deal with and very helpful! My encounter with each person has been so outstanding that I just wanted to let you know what a super job you are doing. Whatever you are doing to train your people is working. Keep up the good work! Thanks to everyone for making my time spent with you so helpful and pleasant! 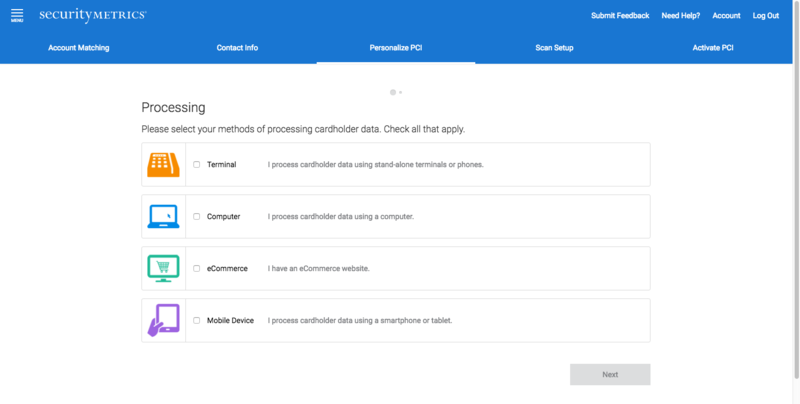 I am quite impressed with your UI and your demystification of PCI choices and criteria. 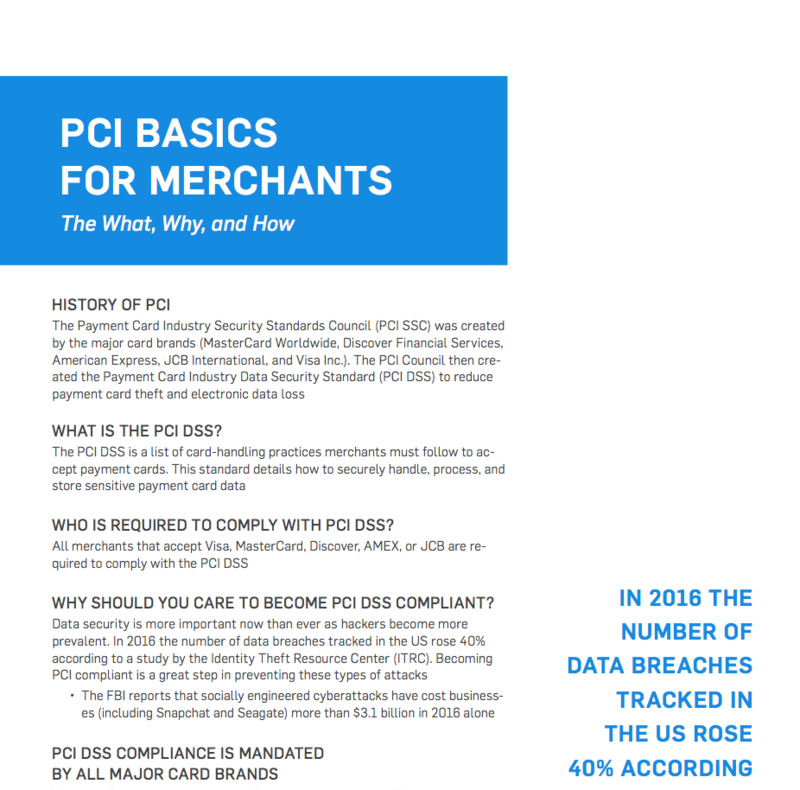 I've been steeping in PCI since 1.0, and this is the most user-friendly and clear presentation I've seen for merchants with little or no PCI understanding. Kudos! I've worked with SecurityMetrics on a number of websites and I've found your company to be of the highest professional standard. I've also had some excellent, caring, and patient help with many a difficult security scan. 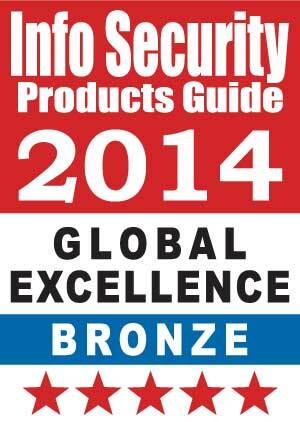 Maintaining PCI compliance is extremely important with large scale e-commerce applications. SecurityMetrics makes the process of getting compliant extremely easy. SecurityMetrics has been routinely testing us for the past two years. They make it very easy to be compliant and help with the potentially dangerous process of handling credit card and other sensitive information. I'd highly recommend them to anyone looking to build and maintain a secure environment.